Today is the sweetest mother in the world's 71st birthday -- Happy Birthday Mom -- I love you!! I made her card using digi's from Cornish Heritage Farms. 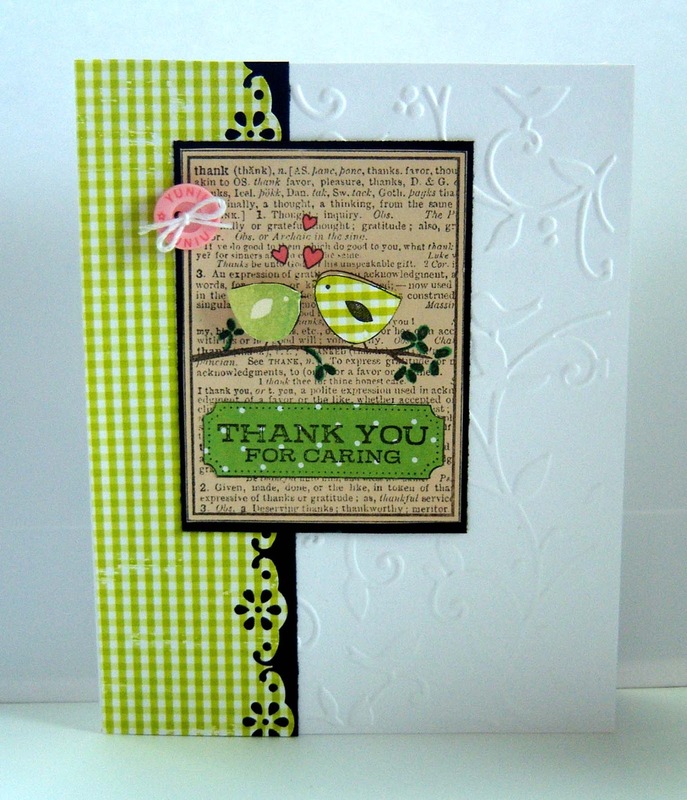 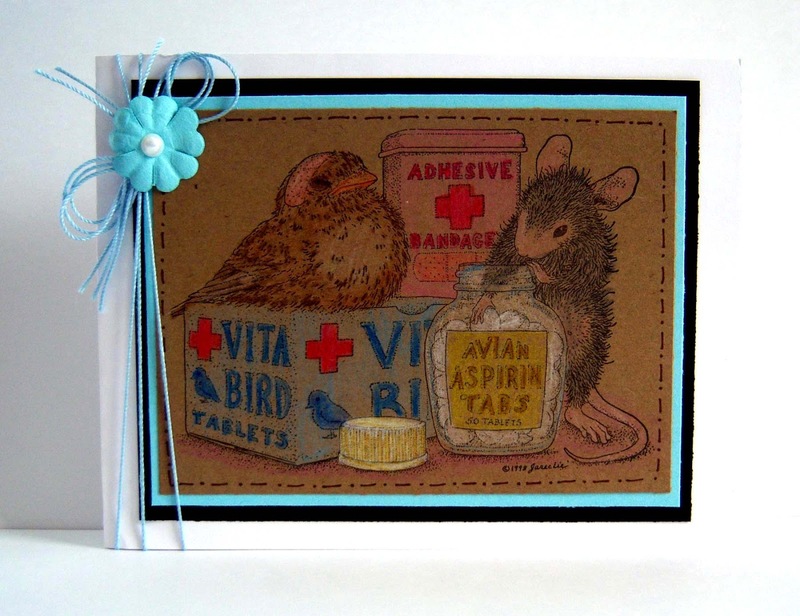 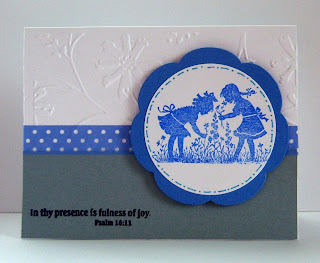 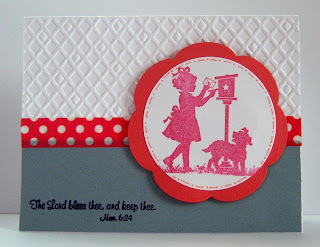 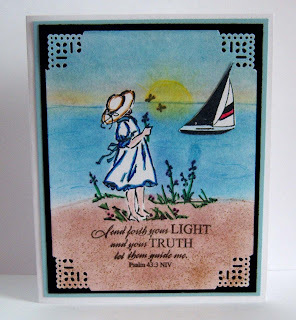 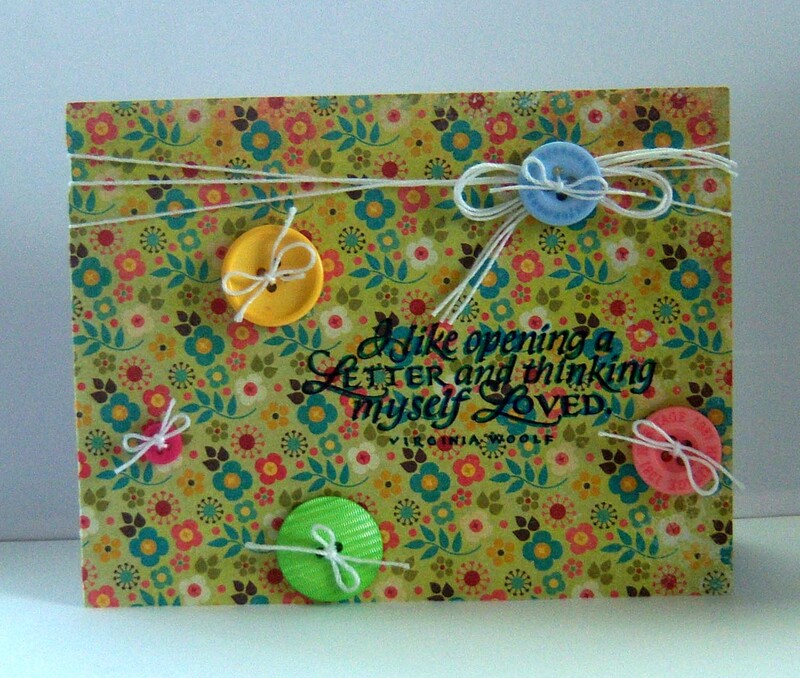 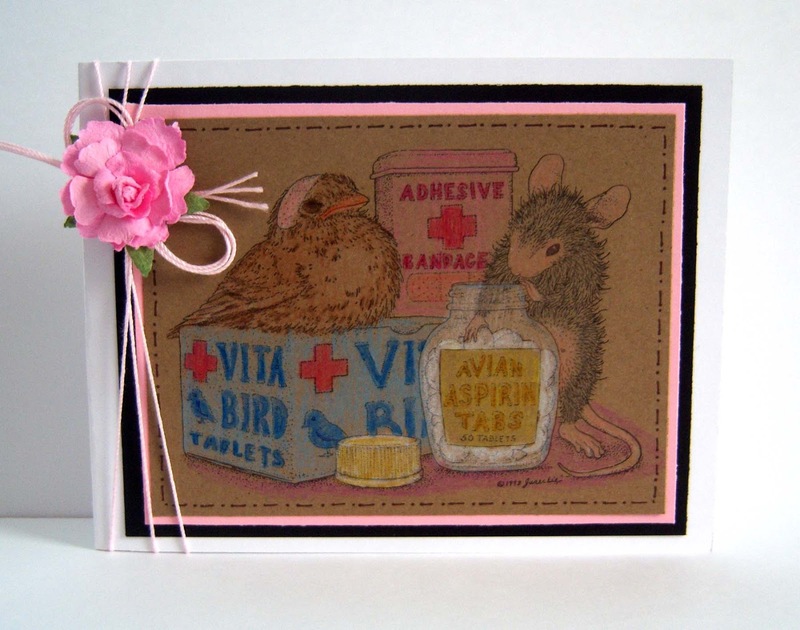 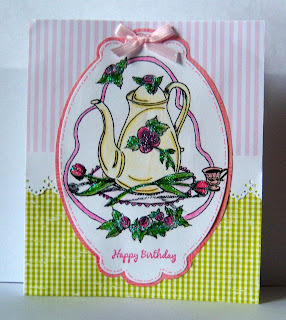 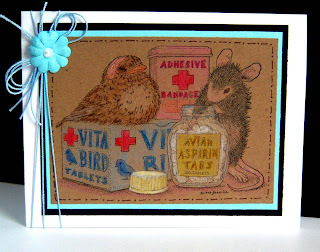 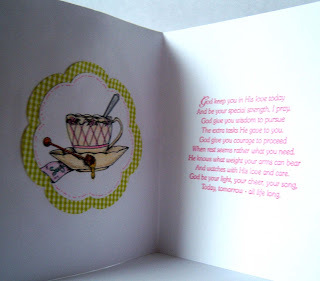 Here's another card I created (using a sketch) on the cardmaking day with friends two weeks ago. If you're looking for some great card sketches - check this set out! 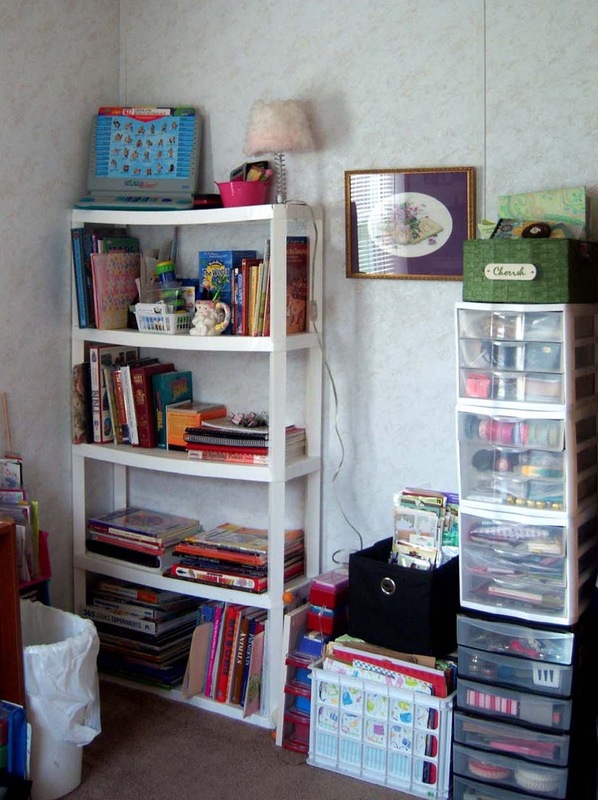 It isn't actually a makeover -- more like a cleaning out, re-organizing, and re-arranging! 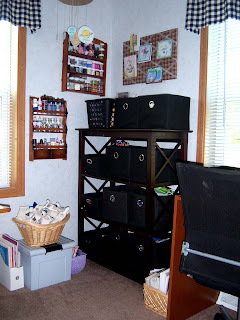 Although I did buy some new canvas bins (3 for $5 at Family Dollar) to help in the re-organizing part and make the room look a little neater! 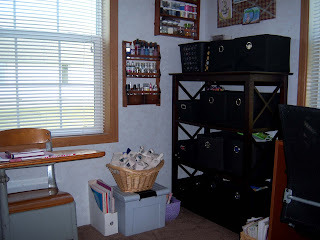 The room also doubles as a school room, so I have to "get creative" with storing/organizing things. 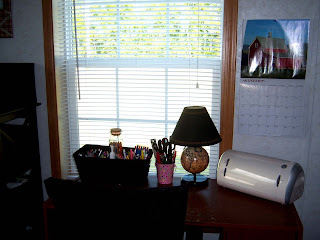 The long bins (like the one on my desk) were a bit more ($3 a piece) but still not a bad deal. These shelves hold our school books. My rubber stamps are still shelved behind my door. And now we're all the way around the room - ending at my big metal shelf set holding all the heavy supplies....cardmaking/scrapbooking books, paper, punches etc. Though it took me all day long (till 7 pm) to complete - I'm very happy with my "new" room. Last week I had two young friends over for an afternoon of tea, scones, and CARKMAKING!!! 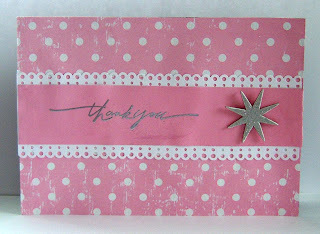 It was a very enjoyable afternoon and I can't wait to do it again sometime! 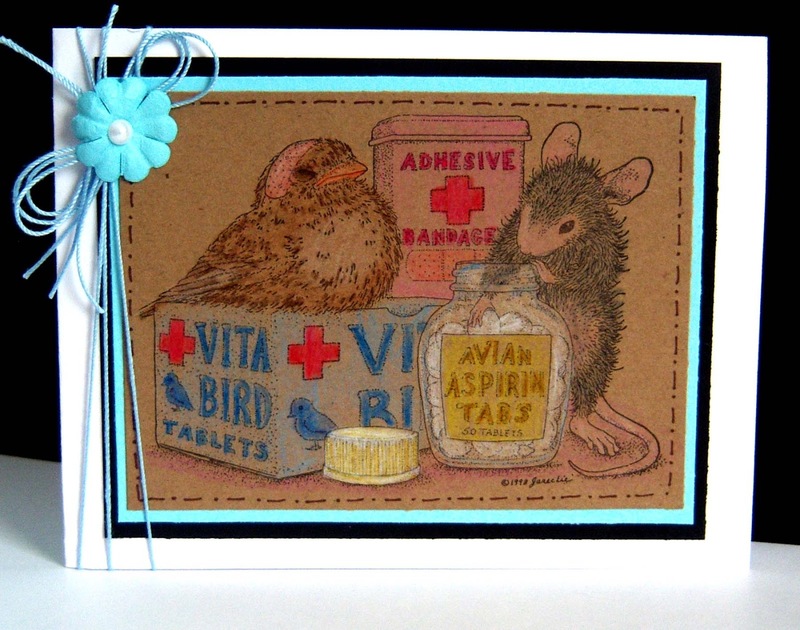 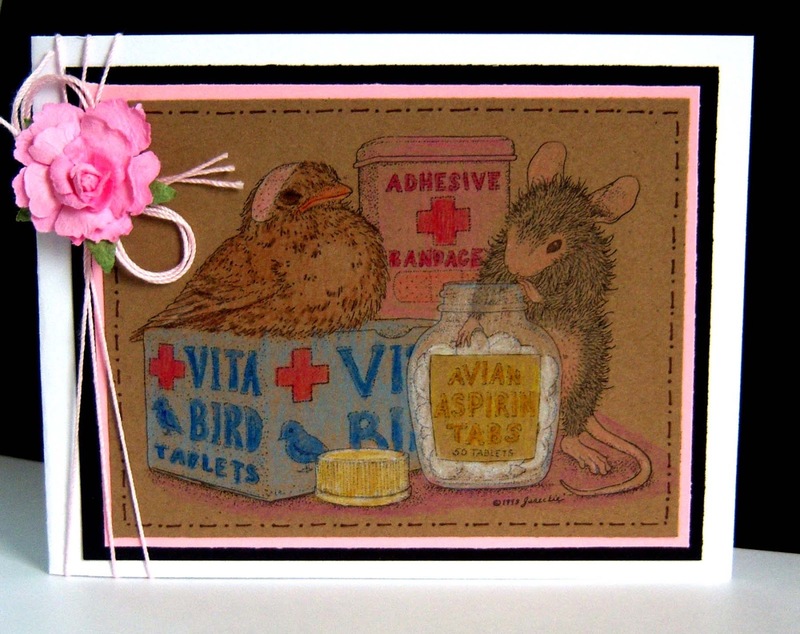 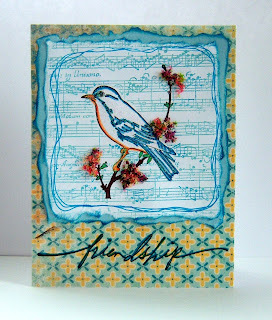 I had fun layering the birds and sentiment on this card. 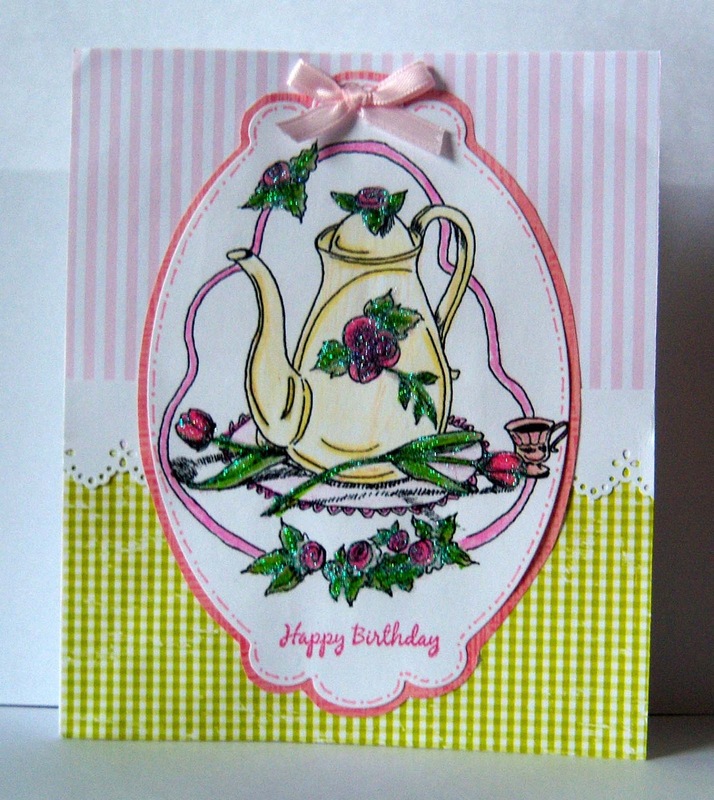 Here's a simple hello card I made using a sketch from an old Paper Crafts magazine. 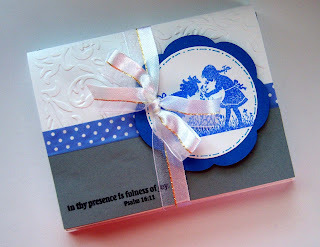 The flowers are stamped on kraft cardstock - colored with colored pencils and glittered. 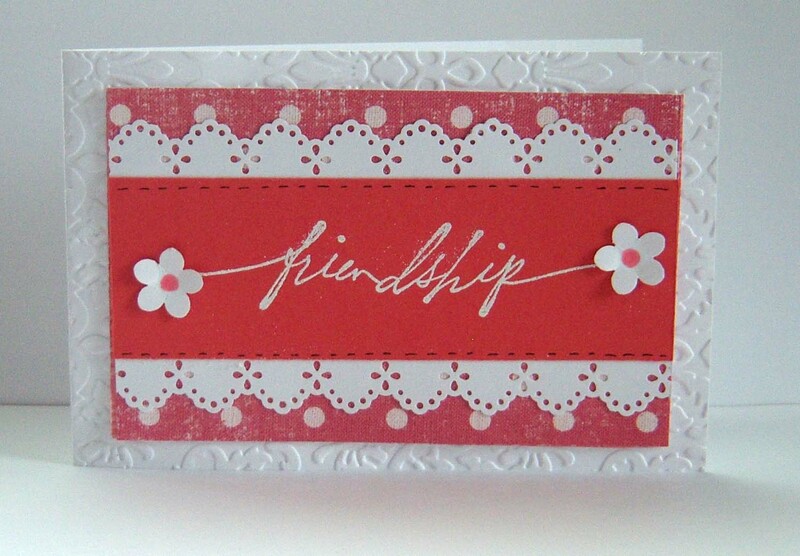 A simple card set I made for a friend that's moving away. 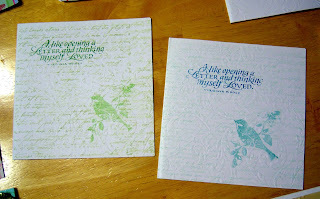 I made 3 of each color and used 3 different embossing folders on the white space. My 10 year old daughter decided she'd like to pick a sketch and have the two of us make it up. 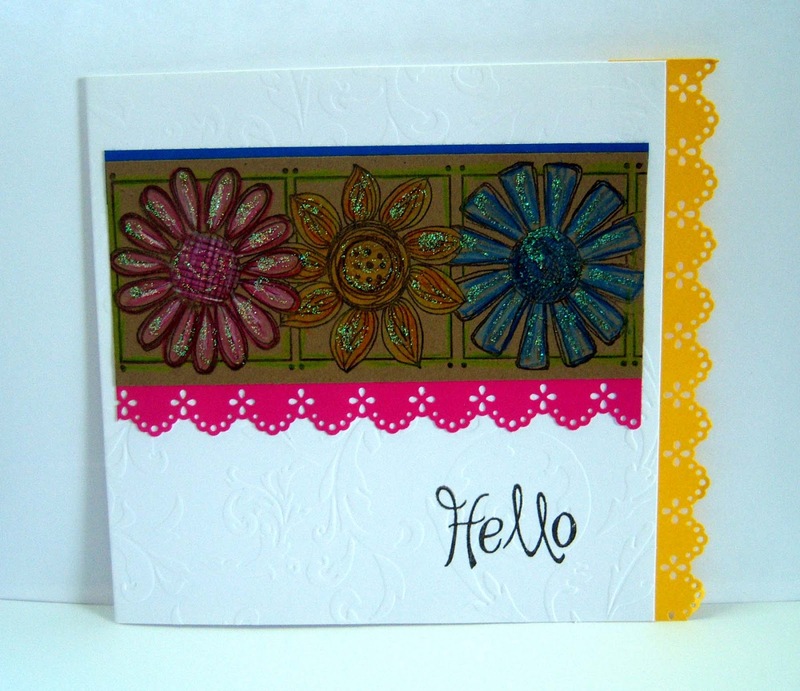 Above is my card and below you can see hers. 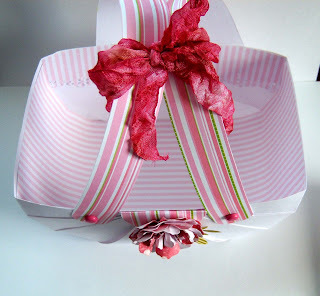 Here's a cute little basket I made to use as a gift container for a friend's birthday this month. She's a sweet lady who has an "encouragement ministry" -- always writing little notes to brighten you day and lighten your load. 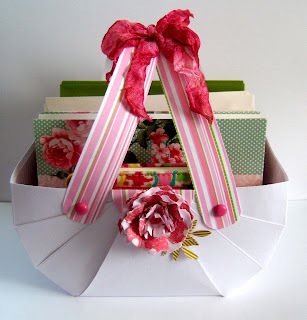 For her gift I made the basket (from this tutorial -- I made the one that uses a 12 x 12 piece of paper) -- and filled it up with pretty cards, stamps, and a Vera Bradley notebook. 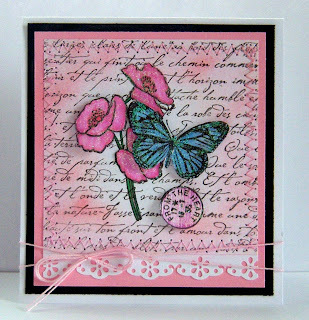 The crinkle ribbon is homemade and the flower is from the Tim Holtz Tattered Florals die. 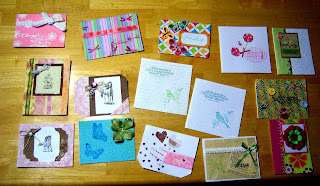 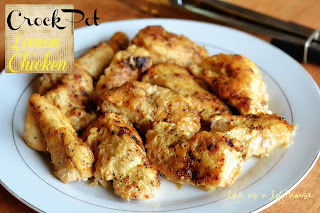 In case you haven't notice -- I've been into masking/collage making of late! This card features a Martha Stewart bird stamp, a music background stamp, glitter, flower soft, and torn/inked edges! Two Get Well cards using the Amanda M.D. 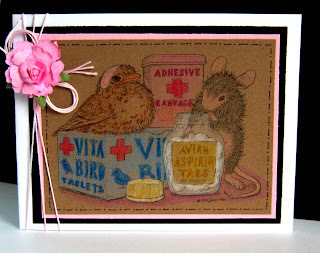 (House Mouse) stamp. 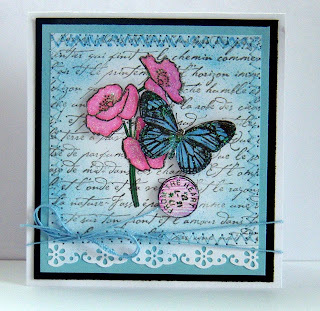 I stamped the image on Kraft Cardstock and colored it with colored pencils. Here's a fun little butterfly collage I made last week. 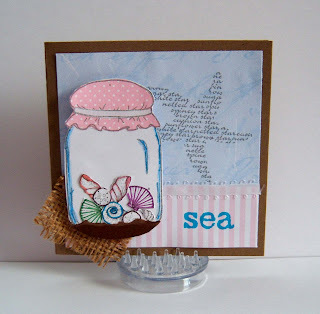 The idea came from a stamp set my sister-in-law brought along with her when she visited two weeks ago. 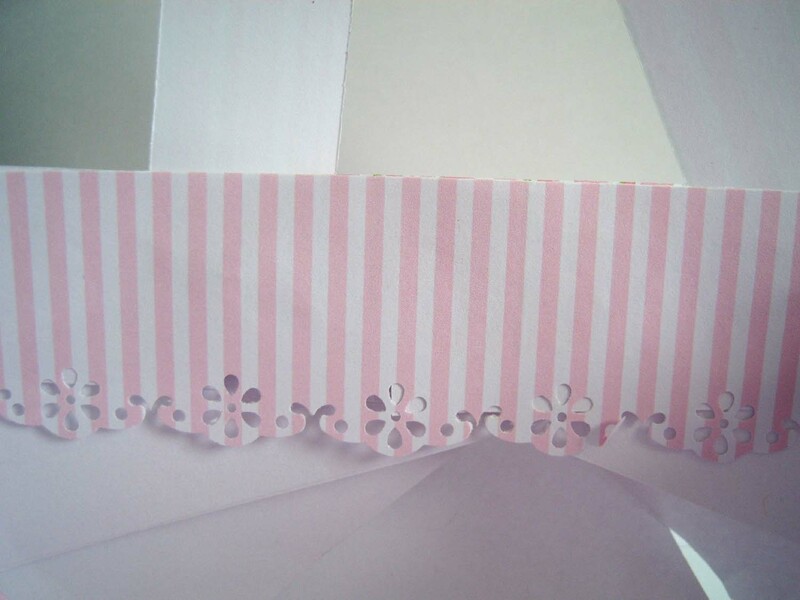 I made one in blue and one in pink. 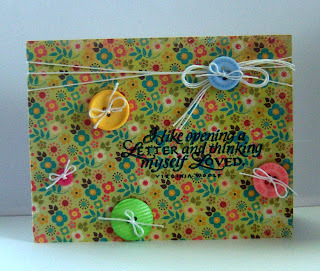 After stamping, coloring, and popping up the butterfly/flowers/postmark -- I then sewed and chalked around the edges. A punched border, glitter, and some matching crochet thread tied in a bow complete the look! 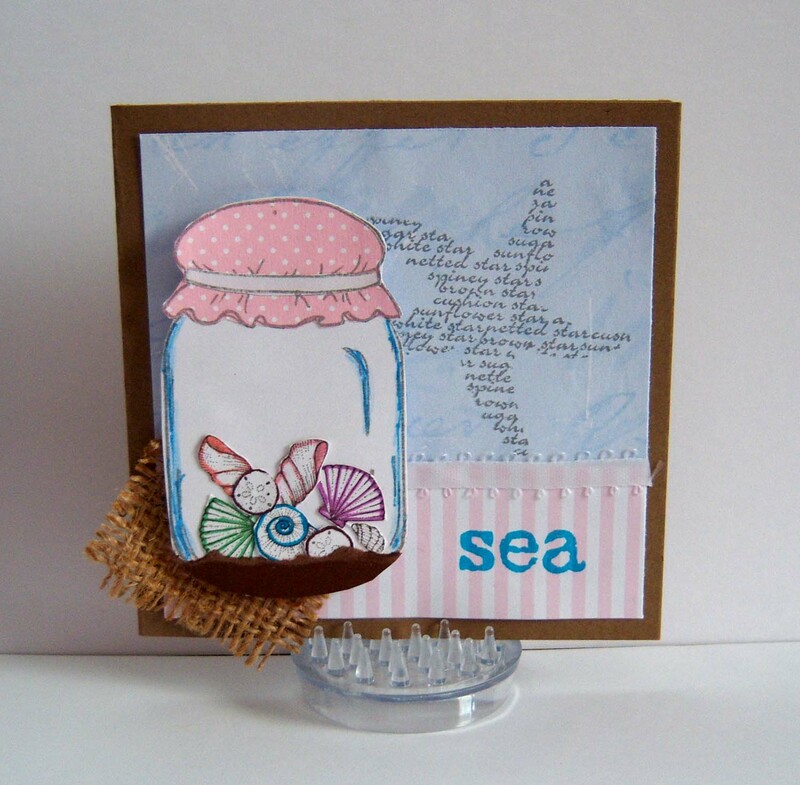 This little jar of shells is a favorite creation of mine from the day I spent making cards with my sister-in-law. The little piece of burlap added just the right feel!